LewisLASIK is proud to provide the most advanced laser vision correction technology and what we feel is the best overall LASIK experience in the Delaware Valley. Starting with the most highly-trained LASIK surgeon, a fellowship trained corneal specialist with an international reputation, Dr. James Lewis performs all procedures. Our office is a private medical practice with no corporate obligations; entirely guided by patient satisfaction and clinical excellence. Finally, our equipment has always been state of the art. Our MicroKeratome, The One Use-Plus SBK is designed and built in France is the most advanced and most capable on the market. 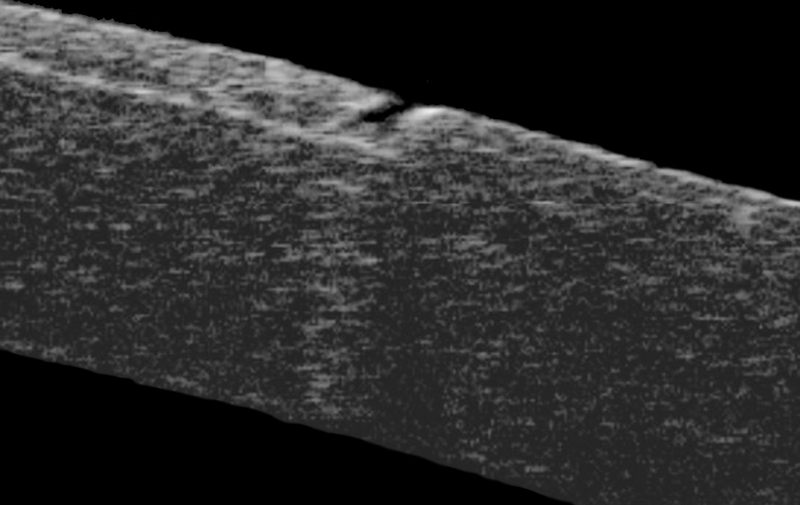 Our NIDEK Quest is the first topographically guided excimer laser to be approved by the FDA. In addition, the Quest achieves better than 20/20 in over 50% of all cases and outperforms all other platforms. Our LASIK patients demand top of the line care. Dr. Lewis has performed 10,000 successful LASIK procedures. As a corneal specialist, he has performed thousands of corneal transplants, complex cataract surgeries, and premium intraocular lenses. He has also performed well over 40,000 cataract and glaucoma procedures. Most center talk about 150,000 to 900,000 LASIK surgeries. They just don’t want you to know that this is the total number of cases done by 250 surgeons in 50 different states when added together. Since you rarely know the identity of your surgeon, he or she could still be on the “learning curve”. We are a private office where patient safety and clinical results define our mission and dictate our care. Many are Corporate LASIK Center where “suits” make most of the decisions and stockholders ultimately determine policy; others are University-related with student doctors participating; sometimes they are private practices in which one or more of the doctors perform LASIK. Always Dr. James Lewis. Dr. Lewis is a fellowship trained corneal-specialist who has been performing LASIK since 1998. He is also one of the top Corneal Surgeons in the region and a member of both the Kremer Eye Center and the Wills Eye Surgical Network. in many cases it is a LASIK shooter who travels between corporate offices; absent when you need them most….after surgery. The latest instrumentation includes the newly approved NIDEK Quest Topographically Guided Custom Ablation Excimer LASER and the State of the Art Moria One-Use-Plus SBK. The safest, most comfortable, and most capable technology available, anywhere. Older and re-usable Microkeratomes systems, FemtoSecond (early models including IntraLase) and previous generation Excimer Lasers. Some LASIK Centers even use dubious Roll-On, Roll-Off traveling lasers rather than invest in quality equipment. No new technology in years, and in some cases, decades. All of our LASIK procedures are performed in the Elkins Park Office on the grounds of The Pennsylvania College of Optometry of Salus Univeristy. You can view our LASIK surgical suite at any time. Complete evaluations are performed in Elkins Park, North Philadelphia, Conshohocken and Phoenixville. Various Locations. Unlike LewisLASIK, many offices do not have topographers, wavefront analyzers, optical pachymeters, and endothelial cell counters. Complete evaluations make for better patient counseling. 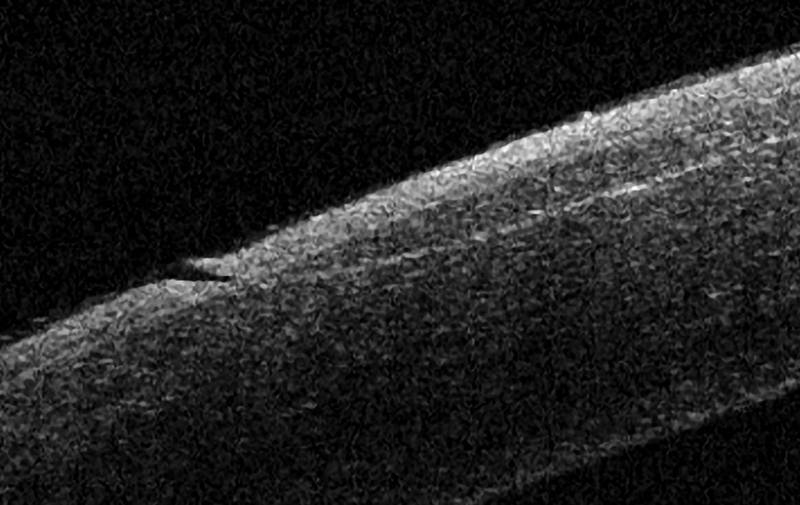 The images above were taken within 5 minutes of LASIK using the One Use-Plus SBK (Moria) and the most popular femtosecond laser, the Intralase (VISX). Tissue loss and shrinkage is seen as a result of the excessive energy used by IntraLase. The Moria creates a pristine flap with perfect tissue alignment and no tissue damage. LewisLASIK uses the latest generation devices for enhanced results and outstanding patient comfort and safety.